On a recent trip to Spain I discovered a deep and abiding love for Sherry. This fortified wine is produced in the Jerez region of Spain. There are many different styles of sherry, but it helps to group them into four camps: Fino, Amontillado, Oloroso, and Pedro Ximenez. The Palomino Grape (yes, spelled like the horse) is used for the about 90% of sherry production and is the sole grape found in Fino and Amontillado sherries. Pedro Ximenez is used in producing the Pedro Ximenez style and blending with the palomino grape to produce Cream and Oloroso sherries. Fino is the driest style of sherry and pairs well with shellfish and other seafood. 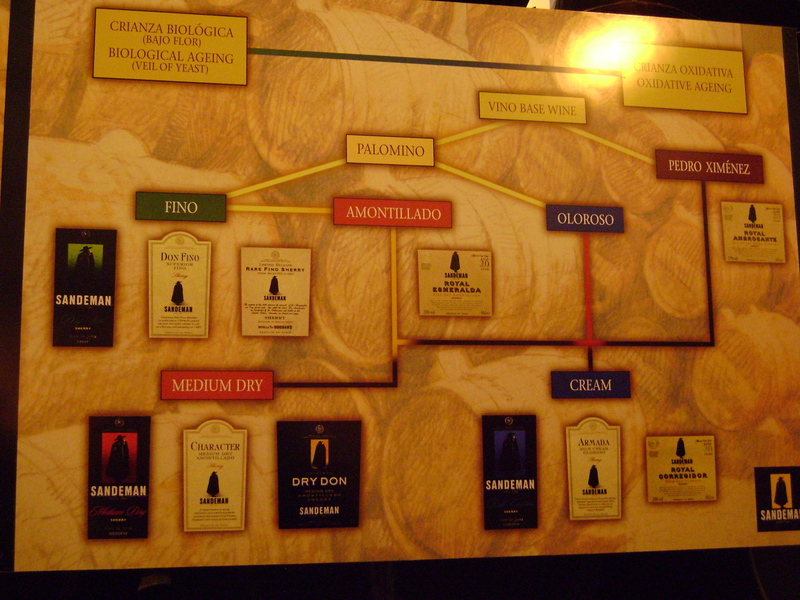 It is a pale yellow in color, similar to any white wine, and different from all other sherry varietals which are brown or very dark gold in color. Personally I am not a fan of this particular style, but other Sherry enthusiasts rave about its ability to compliment fresh oysters. 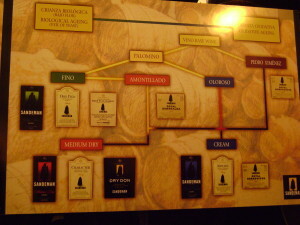 Amontillado may be the most famous sherry varietal due to its literary associations. Made from the palomino grape this sherry is oxidized and aged in oak barrels. This sherry is dry and tannic (think of a good Cabernet Sauvignon), with nutty flavors and an occasional caramel aftertaste. I would pair this type of sherry with a salty meat and cheese such as jamon serrano and aged manchego, or a grilled steak. Oloroso sherries are made from Palomino grapes, oxidized to intensify the flavor profile and create a darker coloration, and then blended with Pedro Ximenez generating a richer mouth-feel and adding a touch of sweetness. The term oloroso means fragrant and these wines live up to their moniker. The ever popular Cream sherries fall into this category as do most medium-dry varietals. Depending on the level of sweetness, these types of wine can pair well with charcuterie and cheeses or be used as a dessert wine or aperitif. Pedro Ximenez sherries are unctuously sweet and thick. I would compare them to a Tokaji in terms of body and sweetness. Made solely from the Pedro Ximenez grape, these sherries are frequently referred to as PX and are best suited as a dessert. Like a Tokaji, I would recommend pairing PX with a sharp blue cheese like valdeon.